A well-operated aerobic digester system produces more gas than that required to supply the energy for heating the digester. In most small wastewater treatment plants, the excess gas produced is flared in a waste gas burner to avoid odor. In large treatment facilities, the excess gas may be (1) burned in a boiler to produce heat for buildings in the plant, (2) used to power an engine to generate electricity or directly to drive pumps or blowers, (3) used to fire incinerators, or (4) sold to a local utility for use in the domestic gas supply. Digester gas can be used in cogeneration, which is a system for producing both electricity and thermal energy. In cogeneration, digester gas is used to power an engine-generator to generate electricity; and cooling water discharged from the engine at a temperature of 70 to 82°C (160 to 185°F) and the hot exhaust gas from the engine are used for digester and building heating. Figure 5.14 is a schematic of typical in-plant use of digester gas. Figure 5.14 Process schematic of a typical digester gas use. Digester gas, which is only about 65 to 75% methane, has a lower heating value of approximately 22,400 kJ/m3 (600 Btu/ft3). Lower heating value is the heating value of gas when none of the water vapor formed by combustion has been condensed. By comparison, methane has a lower heating value of 35,800 kJ/m3 (960 Btu/ft3), and natural gas has a heating value of 37,300 kJ/m3 (1000 Btu/ft3). Design Example 5.1 The following example illustrates the basic sizing of a single-stage mesophilic anaerobic digester system for a 10-mgd (37,800-m3/d) activated sludge wastewater treatment plant. 5. 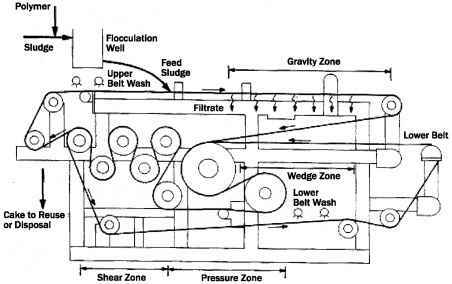 Combined feed solids concentration: Assume that the specific gravity of the combined sludge is 1.01. 6. 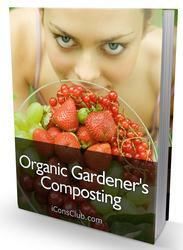 Digester sizing: Provide two digesters. = 46,275 ft3 (1310 m3) Assume a 50-ft (15.2-m)-diameter tank. Note: Some designers provide an allowance for maximum sludge production conditions. However, in this example, an SRT of 15 days is selected (the minimum SRT should be 10 days) to account for the fluctuations in solids production. 7. VS destruction and gas production: From Figure 6-1, VS destruction is 56% for an SRT of 15 days. Assume that the gas produced is 16 ft3/lb (1 m3/kg) of VS destroyed. Single-stage digesters operate without supernatant withdrawal. Therefore, the volume of 6170 ft3/d fed is the same as the volume withdrawn. Assume that the specific gravity of digested sludge is 1.02. 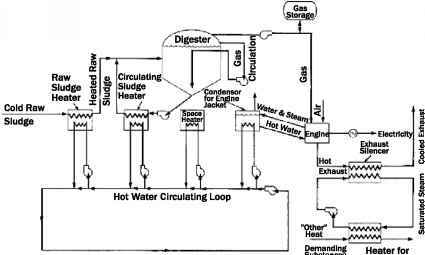 Compute heat required for each digester for raw sludge using equation (5.2). Assume that one-half of the wall is below grade. If separate heat exchangers are used for heating raw sludge feed and the recirculating sludge, the heat exchanger capacities should be 641,680 Btu/h (3.3 8 7.78 x 107 J/h) and 73,715 Btu/h (7.78 x 107 J/h), respectively. For a single heat exchanger for the combined raw sludge and recirculating sludge, the heat exchanger capacity should be 394,555 Btu/h (320,840 + 73,715) (4.16 x 108 J/h). The values above are for each digester.